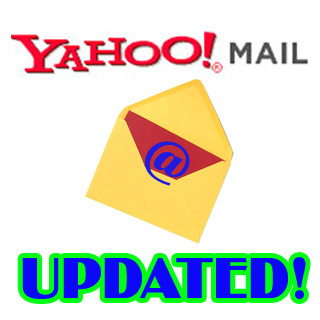 ShoutBloger: Yahoo announced that the latest version of Yahoo Mail will soon complete the beta test and will be upgraded by 284 million users worldwide in the next few weeks. As one of the emails and trusted brand in the world's largest, Yahoo Mail create a more lively conversation through the communication experience a faster, safer, and easier. Yahoo Mail also will make the latest version for all its global partners, including Nokia. Yahoo Mail this version will make it easier for users to, share, manage, and store media content and online conversations that focus on better performance, enhanced protection against spam, inbox richer and can be personalized. Social infusion: The user can immediately respond to messages from Facebook, Yahoo Groups, Yahoo Mail, and other webmail services via the reply just a new bar that is easy to operate. In addition, the user can view and share notifications and updates from Twitter, Facebook, and Zynga through new Updates tab. Conversations Not Just Email: Yahoo Mail prioritize the messages and important contacts. When the user wants to write IM messages, SMS, or email them to see a list of contacts that most often they call. Users can also chat with Facebook friends and contacts of Windows Live and Yahoo Messenger and can see the previous conversations in Yahoo Mail. Change Your Inbox Under Desire: The user can select more than 50 themes and stationery options to express their personality and customize how they want to see the messages and their contacts. App-ify Mail: New applications and easy to use help users become more productive and orderly start of their mailbox. Mail Search defined: The experience of the use of search messages enrich science and technology Yahoo search to help users find answers to find the right email. Spam Buster: Latest SpamGuard technology and platform of new anti-phishing has reduced the report spam as much as 60 percent and helps protect users from email hijackers and unwanted short messages.